The F-Pace's design is a product of one of two clear streams of design at Jaguar. Jaguar's first foray into SUVs was the F-Pace. Odd name but built on a brand new, aluminium platform, it is an impressive machine. More impressive is the fact that the vast majority of them now run Jaguar's own 'Ingenium' engines - with sometimes startling outputs - for a 2.0-litre turbo. The F-Pace has been with us for a few years now and is holding its own in a very busy part of the market. It's always surprising to people when you tell them the price - they seem to expect it's going to be well into six figures but look pleasantly surprised when you tell them the F starts under eighty grand. The range-opener Prestige is powered by a range of 2.0-litre four-cylinder turbo engines of Jaguar's own making, with a lightweight aluminium-rich chassis and a surprisingly big interior. The Prestige is available with diesel and petrol power as well as rear-wheel or all-wheel drive. My cat for the week was a the Prestige 25t which is the 184kW version of the petrol engine and came in rear-wheel drive. So certainly not the entry level, but the Prestige is the first of four grades. The 25t comes standard with 19-inch alloys, 11-speaker Meridian system with a 10.0-inch touchscreen, auto xenon headlights and auto wipers, heated and folding rear vision mirrors, leather seats, electric driver's seat, dual-zone climate control, sat nav, power tailgate, cruise control and a space-saver spare. Standard on the Prestige 25t are 19-inch alloy wheels. Under the boot floor is a space-saver spare tyre. The 'InControl' software and hardware continues to improve, with its new-ish tiled interface proving very easy to use on the huge screen. The sat nav is still a bit dense, but is a marked improvement on earlier cars and you can skip it altogether because you get Apple CarPlay and Android Auto. Added to the standard spec on this car was keyless entry ($1890! 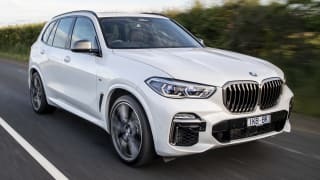 ), a 'Drive Pack' which includes adaptive cruise, blind spot monitoring and high-speed AEB for $1740, heated front seats ($840) black wheels for $840, black pack for $760, larger 350mm front brakes for $560, and a few bits and bobs taking the total to $84,831. 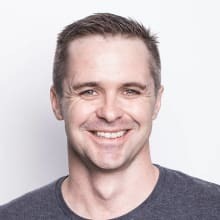 To my dying day I will never work out how some really useful safety features cost less than a thing that unlocks the car when you touch the handle. 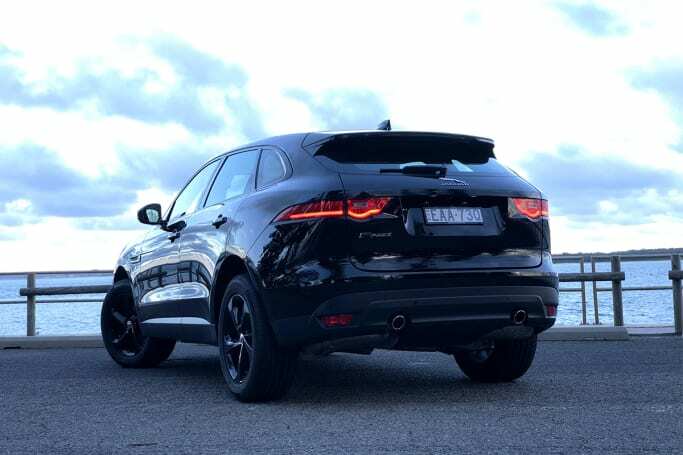 The F-Pace's design is a product of one of two clear streams of design at Jaguar. 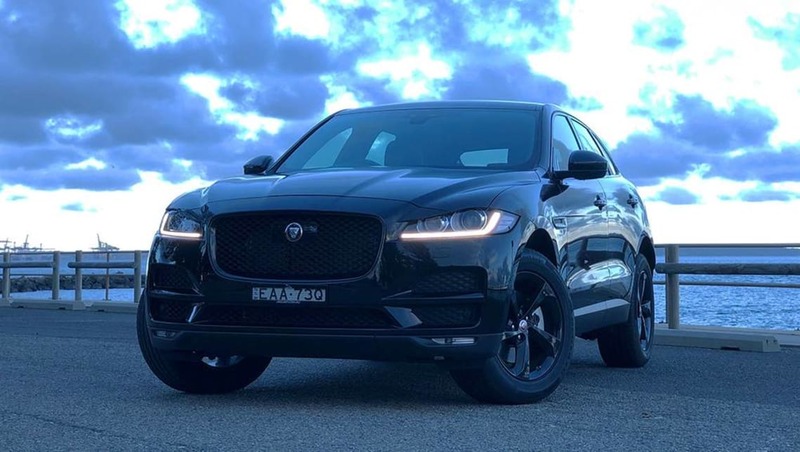 While the smaller E-Pace picks up on the F-Type sports cars aesthetic, the F-Pace - somehow - gets away with the slim headlights familiar from the XF and XE sedans. It's an impressive piece of work and with the black pack with black paint looks reasonably menacing. 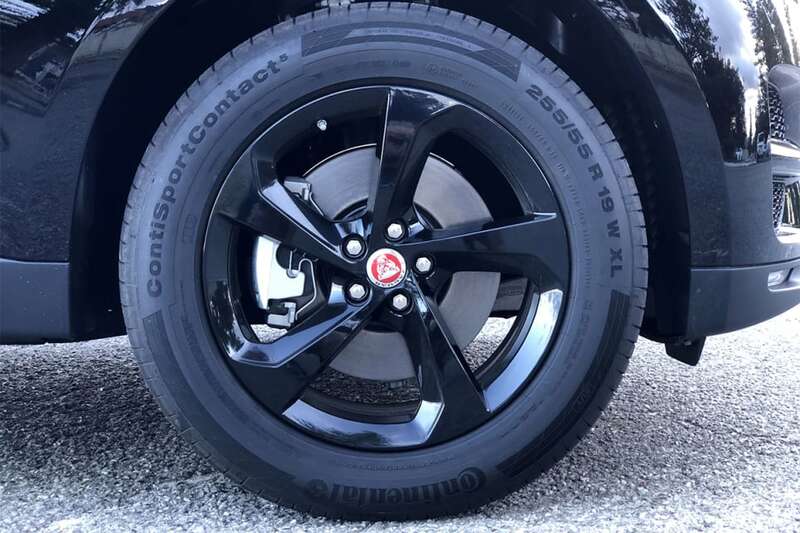 Or it would if the wheels were bigger, they look a bit underdone even though they're 19-inches. Easy fixed with a ticked box at your Jag dealer. With the black pack, the F-Pace looks reasonably menacing. The interior is also very much from the sedan sketchbook. The rotary dial, the (deliberately) slightly off-dead-centre steering wheel and the speedboat line that sweeps from door to door in an elegant line across the car. It could be an XF if you didn't sit so high and you didn't have so much glass around you. That seems important to me because it feels like Jaguar, which is what you want when you spend the money. The 10.0-inch touchscreen comes with Apple CarPlay and Android Auto. It's a big car and it's big inside. The F-Pace feels like it should be able to take seven seats, but the floorpan won't allow for it, so it's a fiver. Front seat passengers have a ton of headroom despite the inclusion of a sunroof. That seems to disappoint a lot of people, and I can understand why. 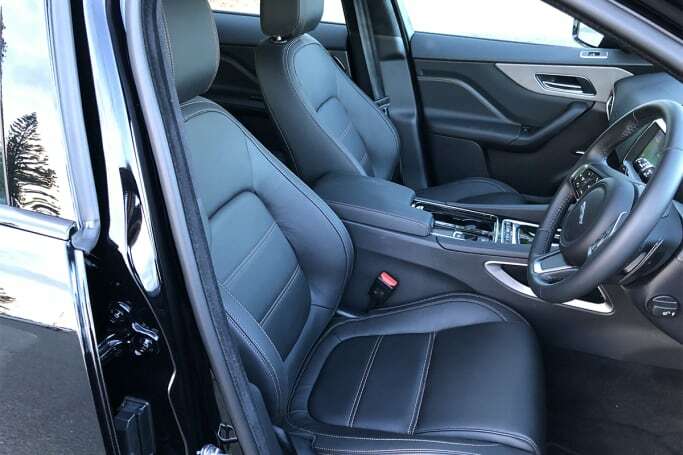 I imagine it has been a disappointment for Jaguar too - they probably know hardly anyone ever uses third row seats, but something in people's heads convinces them they need the extra two. 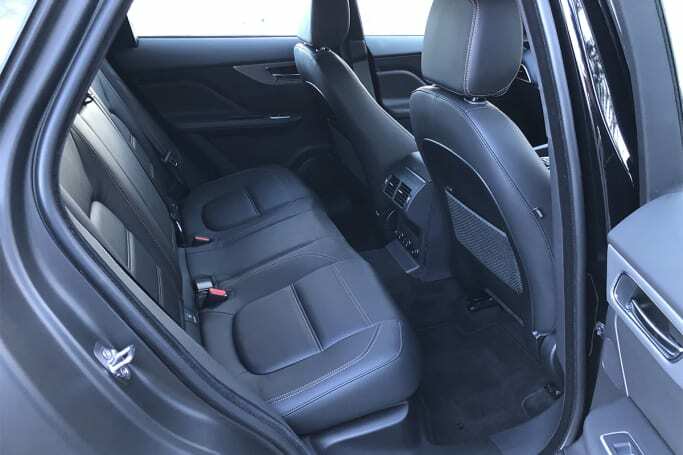 Despite the racy angle on the rear glass, you start with 508 litres of boot space, rising to 1740 litres when you fold the 40/20/40 split rear seats. 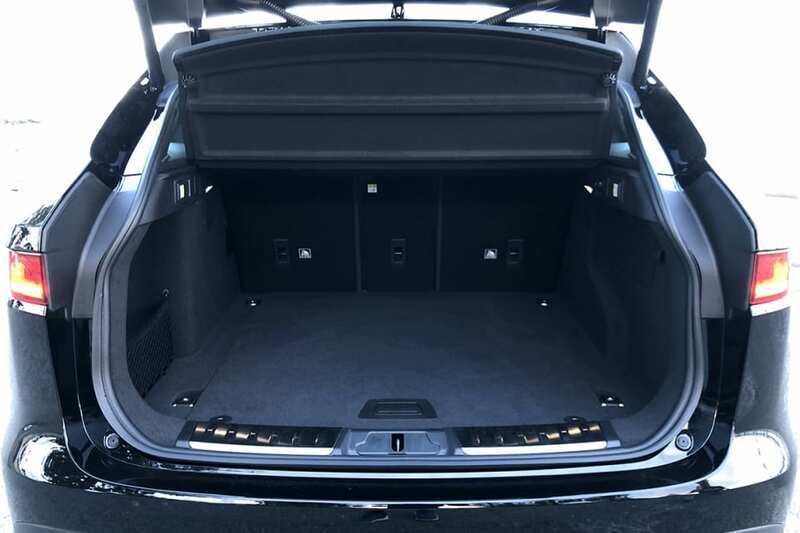 With the rear seats up, there's 508 litres of boot space. Fold the seats flat and that number grows to 1740 litres. Front seat passengers have a ton of headroom even if there's a sunroof and you've got a pair of cupholders that you can hide away under a folding lid. Under the centre stack is a spot for your phone and the central armrest covers a good-sized bin. Out back you've got a central armrest with a pair of cupholders (taking the total to four) and like the front doors, there are bottle holders on each side, again for a total of four. Two will be happy back there and a third won't be massively unhappy, so it's a true five-seater. 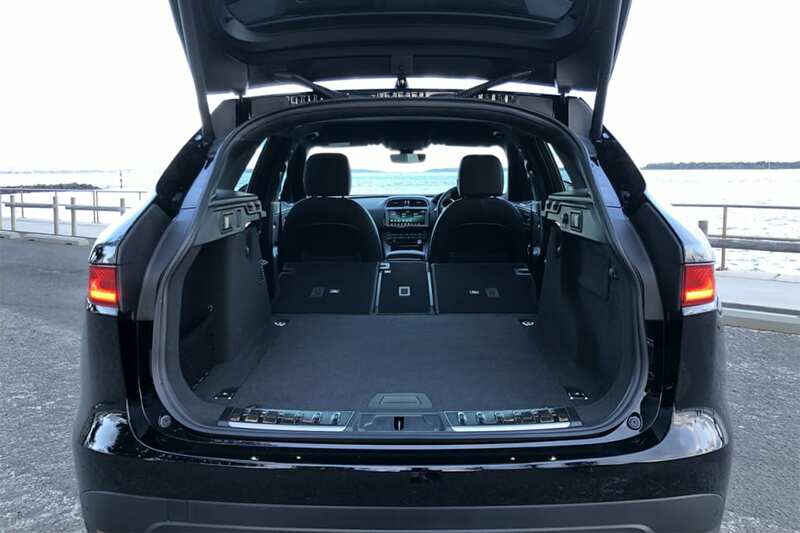 Back passengers will be happy with the space the F-Pace offers. Rear seat passengers score 12-volt power outlets and air-conditioning vents. The Prestige and Portfolio F-Paces are available with four engine specs. The 25t translates to the 2.0-litre turbo-petrol with 184kW/365Nm. That's a lot, even with a substantial - if light for the segment - 1710kg to push along. The 2.0-litre turbo unit makes 184kW/365Nm. You can choose AWD but this RWD Prestige shares the same ZF eight-speed automatic with the rest of the range. The 0-100km/h sprint is covered in a swift 7.0 seconds flat and you can tow up to 2400kg with a braked trailer. Jaguar's official claim suggest you can consume Premium unleaded at the rate of 7.4L/100km on a combined (urban, extra-urban) cycle. And, as it turns out, it's not too far off. In the week I spent punting around the burbs with a bit of freeway running, I got 9.2L/100km, which is commendable for such a big unit. The F-Pace packs six airbags, ABS, stability and traction controls, reversing camera, lane keep assist, front and rear parking sensors and low-speed AEB. Extra safety features are available in the 'Driver Pack' my car had, but it would be nice if a couple of these - especially blind spot monitoring - were standard at this level. If you're taking the kiddies with you, there are three top-tether anchors and two ISOFIX points. The F-Pace scored a maximum five ANCAP stars in December 2017. Jaguar might be offering the same sort of warranty as the rest of the premium makers, but the mainstream makers are making everyone look a bit stingy. What used to be par for the course, Jag offers a three-year/100,000km warranty with roadside assist to match. Jaguar offers up-front servicing plans for up to five years/130,000km which helps you control the cost at around $350/year, which isn't bad at all. Service intervals are an impressive 12 months/26,000km. A big, luxury SUV without all the toys has no business being as much fun as the F-Pace. 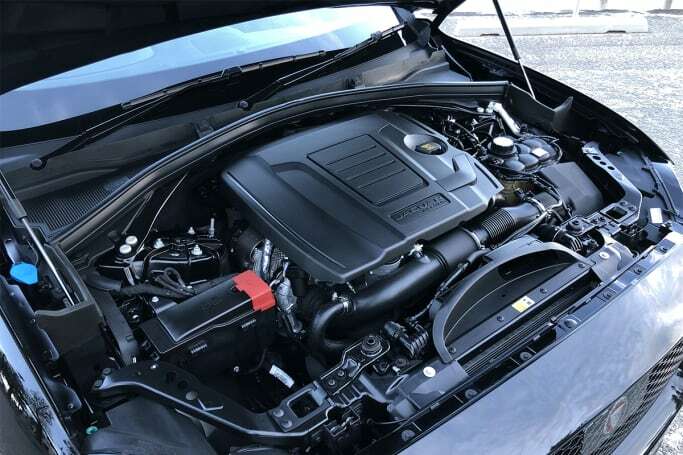 This mid-spec four-cylinder engine (there's a supercharged V6 and supercharged V8 as well) produces plenty of grunt to push the big cat around. At the same time, it's an unbelievably smooth unit, with an unusual mix of sounds producing a unique engine note. The torque curve is basically flat and the eight-speed transmission is well-tuned to handle it. It moves around town very smartly and the only criticism I have is that it would be nicer if the traction control could be a little looser. Even in Dynamic mode, it can be a bit of a killjoy. I really prefer this rear-wheel drive version of the F-Pace. It's a bit lighter and the steering is a little more clear-eyed (not that the AWD isn't). It feels a more pointy even on these relatively balloony 255/55 tyres. On the flipside, the ride is pretty good to go with the handling. While it isn't pillowy-smooth it's never upsetting and I genuinely find it difficult to justify the air suspension on the lower-end cars. 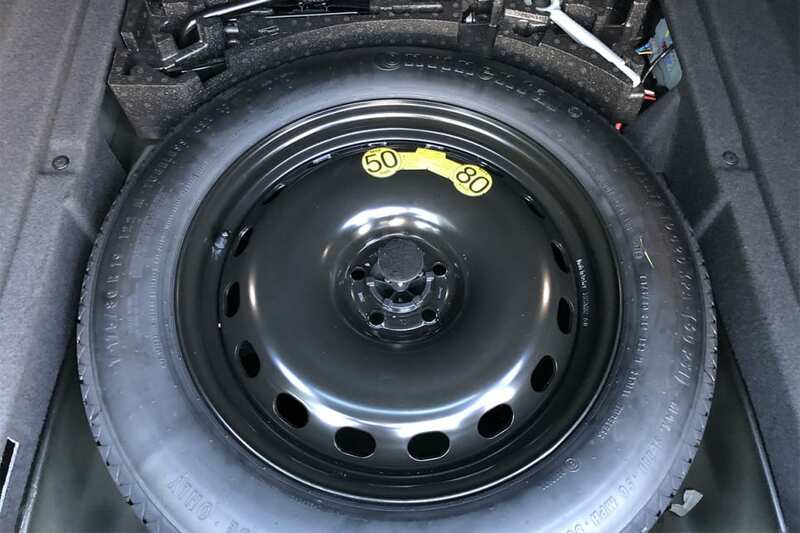 I couldn't really pick the bigger brakes but I'm sure they're welcome if you're carrying a lot of weight or towing, so they're probably worth the extra few bucks. The keyless entry isn't and I'd definitely go with the 'Drive Pack' and its extra safety equipment. The cabin itself is super quiet and the Meridian-branded sound system pretty good once you learn to navigate the big screen. 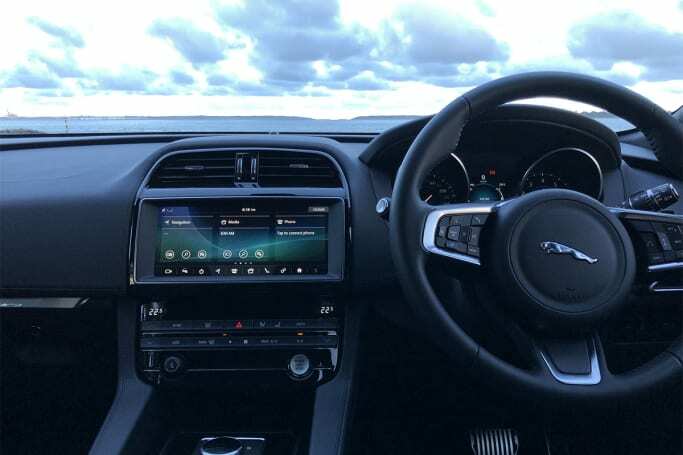 The hardware for the InControl is almost there, too, with residual jitters persisting when you swipe to another screen and achingly slow sat nav response to inputs. Unlike some of its Range Rover brethren, you get Android Auto/Apple CarPlay into the bargain. I've driven a few F-Paces over the years and really like the rear-wheel drive. The diesel V6 all-wheel drive is certainly fast but not as light as the smaller petrol. The diesel four-cylinders are good but can't match the petrol's smoothness. The fuel economy of the petrol is impressive, too. Hilariously, the F-Pace is lighter than the smaller E-Pace, and you can really feel it. For under eighty grand (options notwithstanding), this is a lot of car with a badge that folks seem to love. Tell them it's a Jaguar and watch their eyes light up. Take them for a ride and watch their jaws drop when you tell them it's a four-cylinder. It's a heady mix of prestige (sorry) and the fact it's a cracking good car. 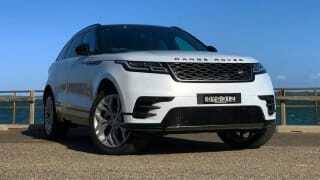 Is there a point to a two-wheel drive upmarket SUV? Do you care? Let us know in the comments. The Q5 is Audi&rsquo;s medium-sized SUV (and the best-selling model in its Q range), but the range-topping 50 TDI Quattro Sport version is anything but middling. The Range Rover Velar plugs the gap between the hyper-stylish Evoque and the Range Rover Sport. Long, lithe and beautiful, you can choose from a staggering 65 variants.